you’ll find a tree trunk in the garden or in the woods. if a tree is sick then they saw it off right at the bottom. 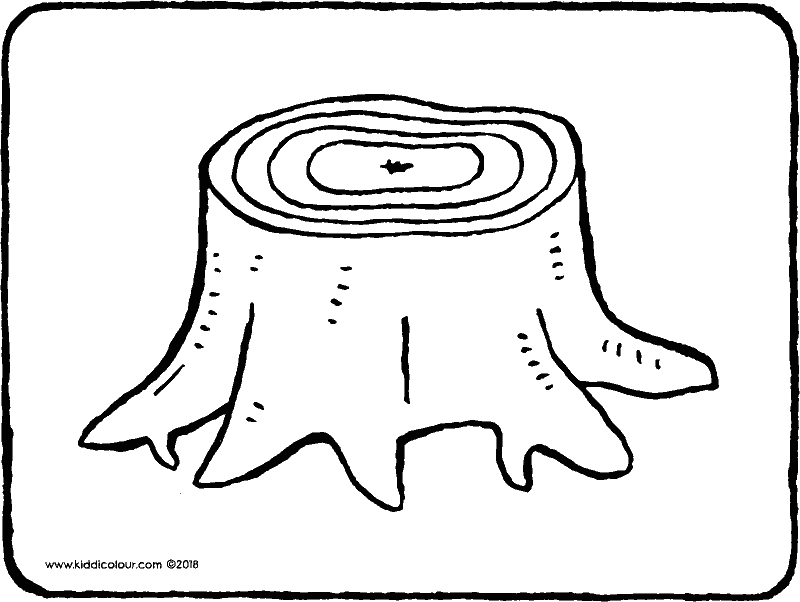 then only the tree trunk is left. you can sit on it. and sometimes a toadstool might grow on it. in the autumn you can go for wonderful walks in the woods. you might see a toadstool or a hedgehog. after the walk you can cosy up at home. and read a good book on the sofa. 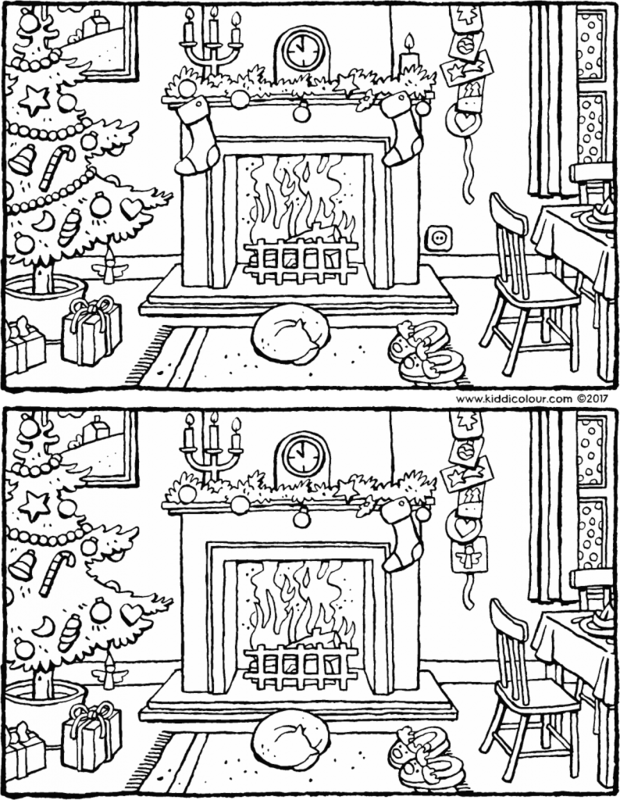 first print out the picture and colour it with colours that you like. cut out the bookmark uit. glue the two sides together. and then it’s ready to put in your book te. it’s autumn. the leaves on the trees are turning yellow and brown and red. they’re falling down from the branches. Emma is hiding behind a tree and Thomas has his boots on and is running through the leaves. the hedgehog is startled by that unexpected visitor to the woods. colour in this picture in autumnal colours. 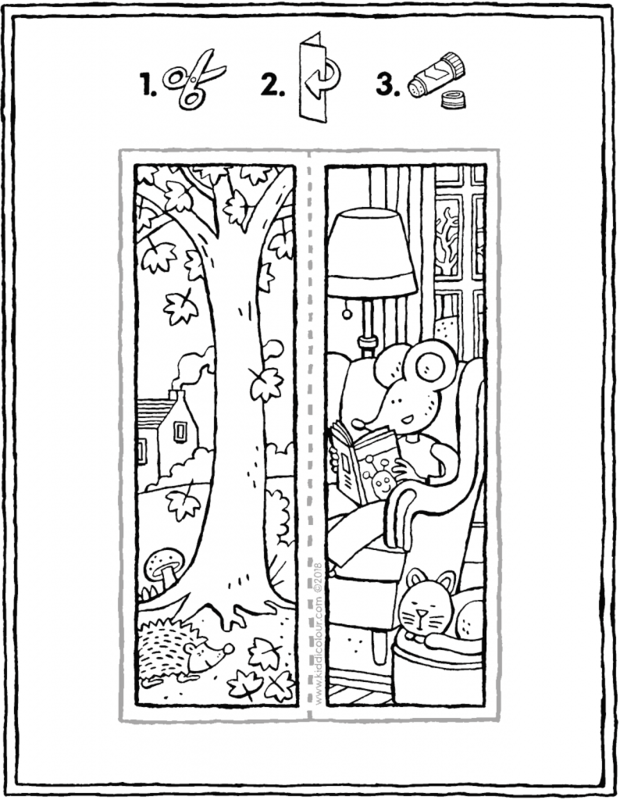 hang the colouring page on the fridge. 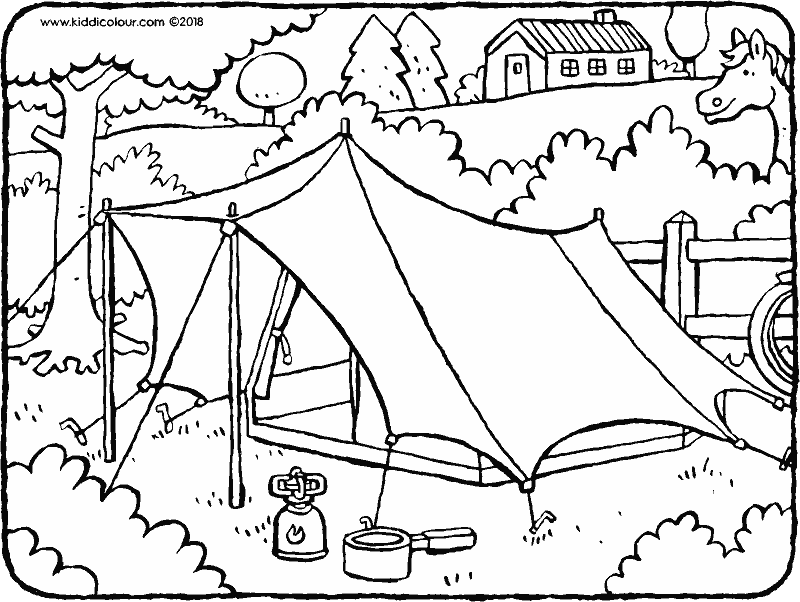 camping in a tent… what fun! what could be lovelier than sleeping in the open air? you cook your own food on a small camping stove. keep your eyes peeled! you might see a rabbit a squirrel or a pine marten. they’re sure to come snuffling around. use this picture to make a beautiful autumn diorama. print out the picture on strong paper (e.g. 185g) and colour everything in autumn colours. cut everything out neatly and stick it into a shoebox. cut a hole in the shoebox lid. make a second viewing hole in the front of the box. 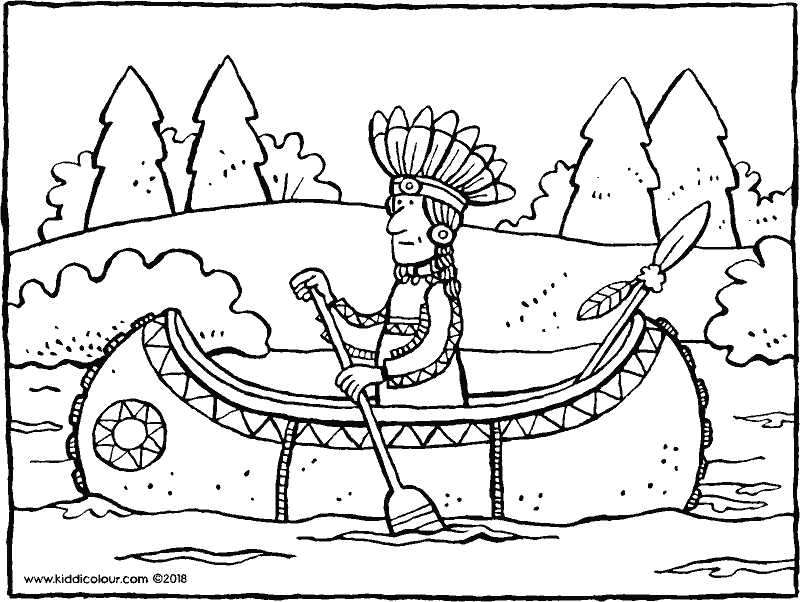 this Indian is gently paddling his canoe up the river. he’s keeping a close eye on the river banks. what can he see there moving in the bushes? or is it a fox? give the drawing to the first Indian you meet. a pine marten has a long, bushy tail. the pine marten is good at climbing. it can easily jump from branch to branch. 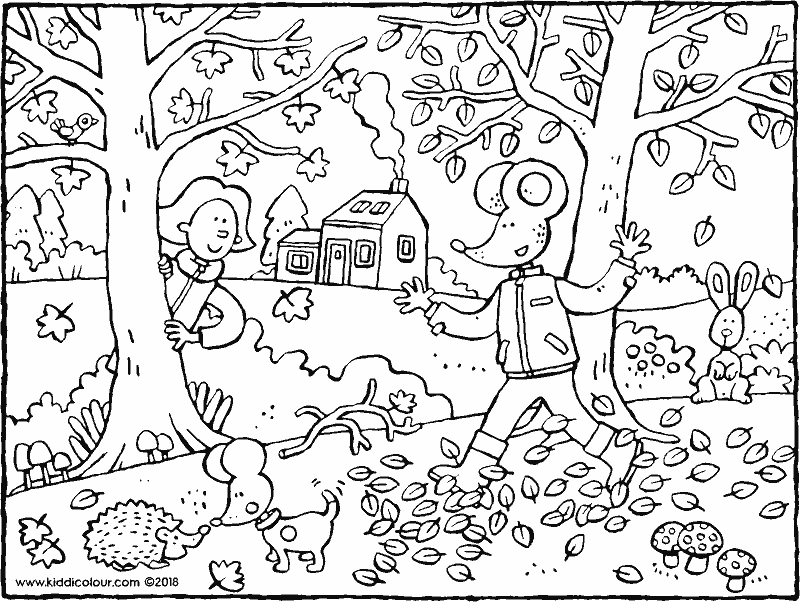 do you sometimes go for walks in the woods? 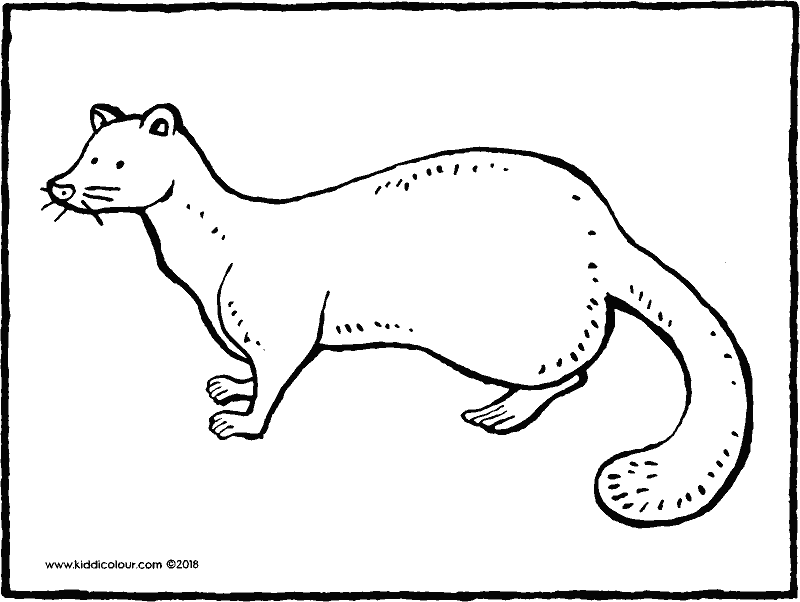 then keep your eyes peeled, because that’s where the pine marten lives. when you chop wood, woodshavings fall to the ground. that’s what happens when you use this axe. be careful because the axe is sharp. 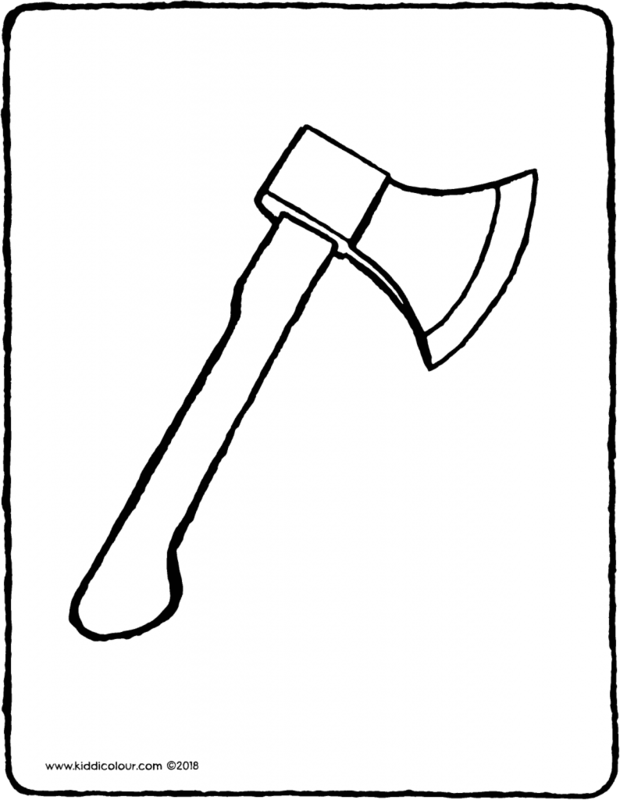 you use an axe to chop wood for the stove. colour the drawing in beautiful colours. hang the picture in a pretty place. at the back of Emma and Thomas‘s garden there’s a big tree. 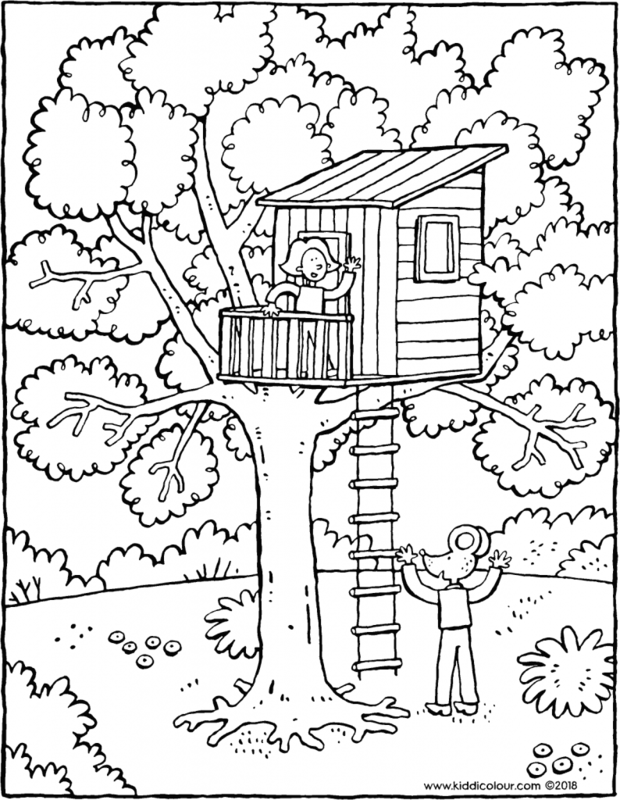 a tree house has been built in the tree. they climb up into it using a rope ladder. in the treehouse they can read a book. or eat crisps and drink lemonade. 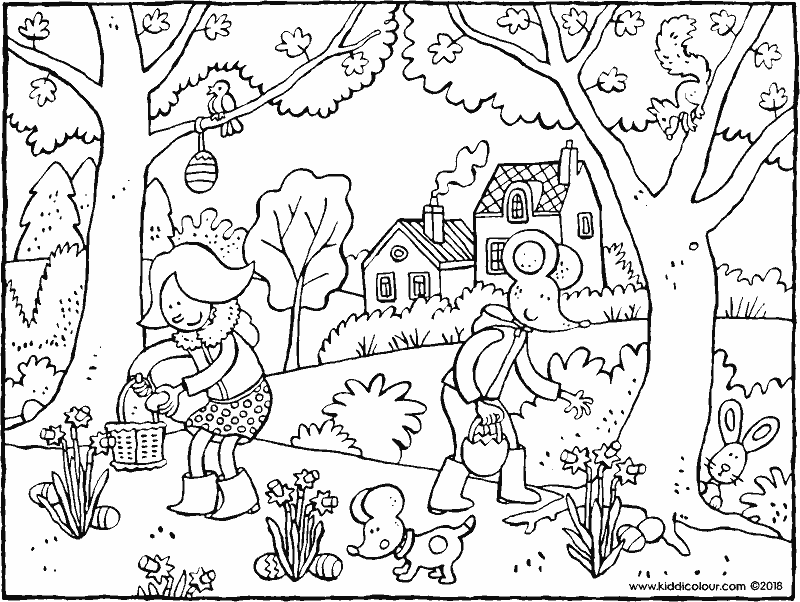 hide the colouring page in your favourite place. 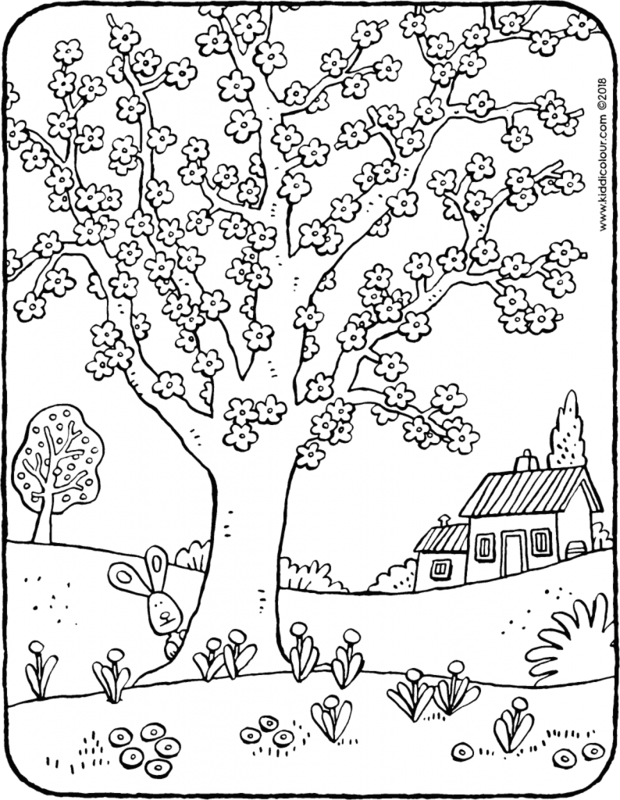 in the spring you see lots of trees that are filled with blossom. the trees are in bloom at that time. and the name for all these flowers together is blossom. 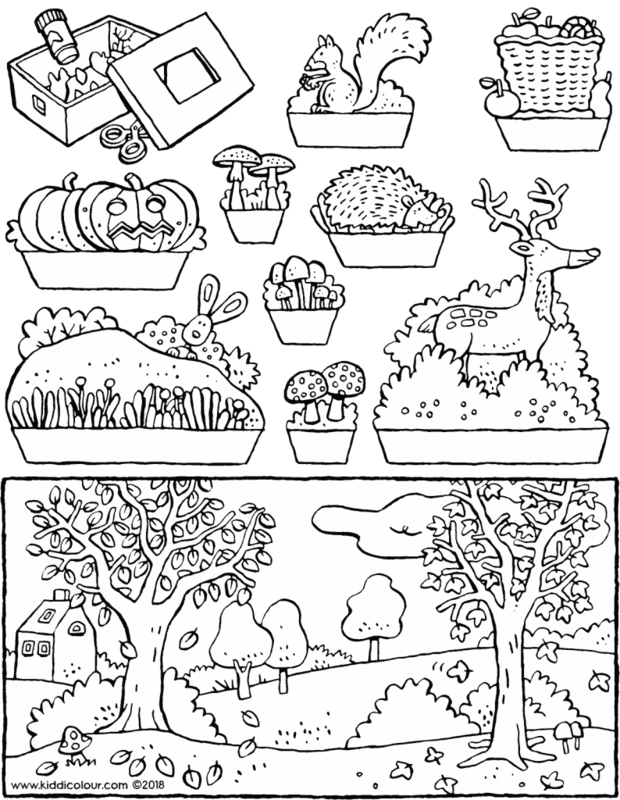 colour this colouring page in spring colours. do you know someone who loves to see blossom? 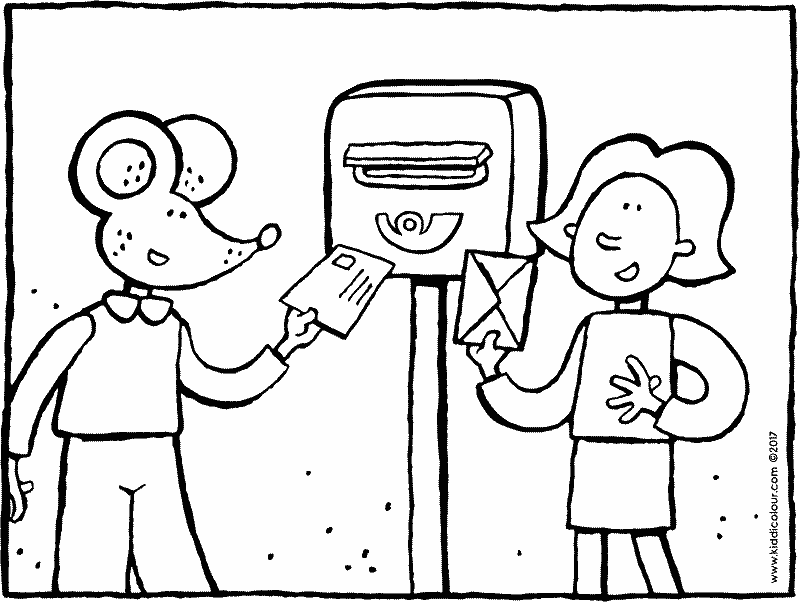 give the colouring page to that person. the three little pigs are walking in the woods. print out the puzzle on strong paper (185g). 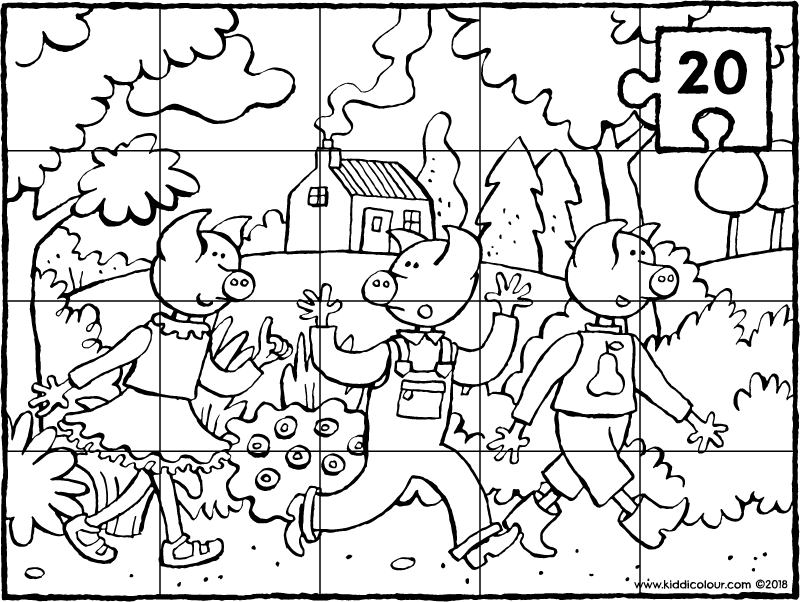 then cut out the puzzle along the lines into 20 pieces. jumble up the pieces and complete the puzzle.